‘In himself and in the lonely life he led amid the environments he had acquired or created – surroundings partly noble and magnificent, partly fantastic and baroque – Lord Astor was an extraordinary and singular personality.’ From ‘A Personal Impression of William Waldorf Astor, by a Friend’, The Times, 1919. 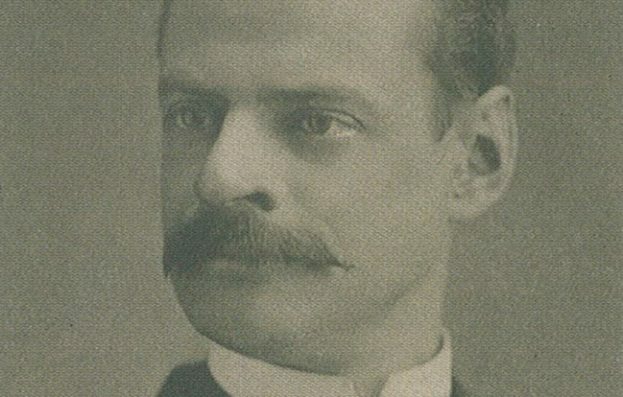 William Waldorf Astor was born in New York City in 1848 as the only child to John Jacob Astor III. Only two generations earlier, his great grandfather, John Jacob Astor I, had left the village of Walldorf, near Heidelberg in South West Germany, to find a future for himself across the Atlantic. And what a future he found: after amassing great profits through fur trading and a great shipping empire, he ploughed his money into property on Manhattan Island, earning the title the ‘Landlord of New York’. William Waldorf inherited this vast fortune in 1890 and shortly after emigrated to Britain. Here he came to own Cliveden, a country house in Buckinghamshire, Hever Castle in Kent as well as commissioning the construction of a lavish Estate Office in London – Two Temple Place. Astor had no hesitation in handing the architect, John Loughborough Pearson, an unlimited budget for Two Temple Place and clearly had a great deal of influence in its planning; the result of which is something so personal to him that it reads almost like his own autobiography. By all accounts he was a shy and austere man with a secretive nature and prickly personality; reflected in the building’s imposing façade, formidable gargoyles and strong room. Whilst the opulent interior with wood panelling and intricate carving is a vivid reflection of Astor’s deepest passions and interests: history, literature and the arts. Astor married Mary Dahlgren Paul in 1878 and had four children; Waldorf (born 1879), Pauline (born 1880), John Jacob V (born 1886) and Gwendolyn (born 1889). Astor died, aged seventy one, in 1919 as Lord Astor of Hever Castle; a title bestowed upon him only the year before.